This is a dilemma most women have encountered at one point or another. If you’ve ever stared into your closet, filled to the brim with clothes yet still yielding nothing to wear then you’ll know the frustration it can cause. However all is not lost. Instead of tearing your hair out and hitting the shops to buy yet another outfit to add to the pile, you can employ a few tricks to help you unearth a look you’ll love. These are strategies I’ve used from time to time and I can guarantee that they’ve helped me break out of my momentary wardrobe rut, get dressed and walk out the door in no time. Staring at your clothes for ages won’t magically make a new outfit appear. You’ve got to get the styling juices flowing. To do this have a quick scroll through Instagram to see what your fave stylish ladies are wearing. Alternatively hit up your favourite online stores and check out their lookbooks or ‘new in’ section to see what’s trending. By seeing what’s new, it could ignite an idea or two for a look you could pull together. Having seemingly endless options but feeling bored of all of them is a major cause of being stumped for an outfit. So why not narrow it down to make it easier? For example you could tell yourself that today is stripe day and that you need to incorporate a striped piece into your ensemble. By giving yourself some parameters to work with it becomes less overwhelming and more manageable. We all have our favourite colour combinations which is great but sometimes in order to overcome an ‘I have nothing to wear’ situation you need to think outside the box. For example try working an unexpected colour combination like pink and red — by exploring pieces in those shades, you’ll inadvertently force yourself to look beyond your usual favourite items and expand to the rest of your wardrobe. We all have favourite pieces in our closet but we tend to work them back with the same things over and over again. This can exacerbate a nothing to wear situation as you see reliable staples but are also uninspired by them because you’ve already got your go-to pairings in mind. So the next time this happens, take an old fave but make an effort to pair it with something different. It could be that you wear a particular jacket with a certain pair of pants all the time. So instead, why not pop on the jacket over a dress, which instantly gives it a different vibe. This allows you to still get plenty of use out of things you love but overcome your style boredom too. 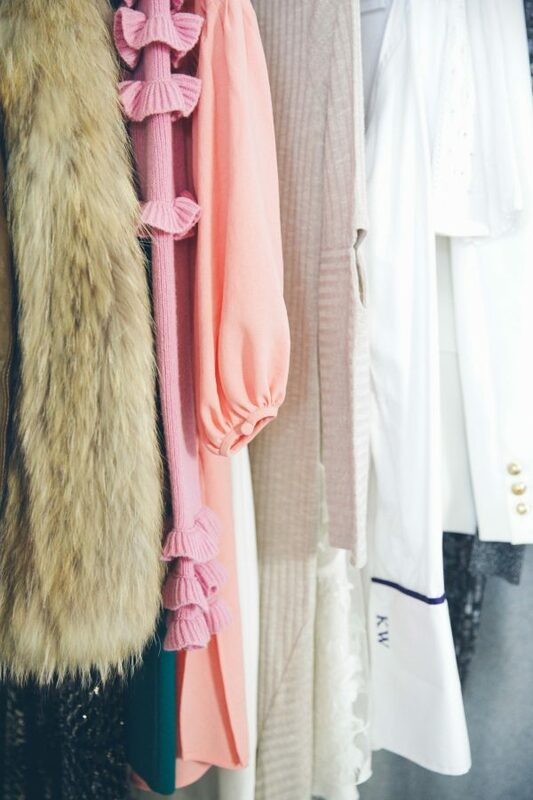 What are some strategies you use to overcome an ‘I have nothing to wear’ problem? I always try to keep items like dresses and staples like coats in neutral tones. With dresses I’ll always opt for a little black dress, a white dress, denim or khaki. And with a staple like a blazer or coat I always opt for black because it’s a colour that’s really versatile. When it comes to basics (my everyday wear such as t-shirts and jumpers) I always stick to neutrals. Whilst a pink t-shirt is fun I’m guarantee to get more than a few wears out of a plain white tee. Also if you want to add a bit of colour to your wardrobe it’s easier to work back with a simple muted colour palette than try to work with multiple bold hues. I think separates are always a really good option because you can mix and match them. 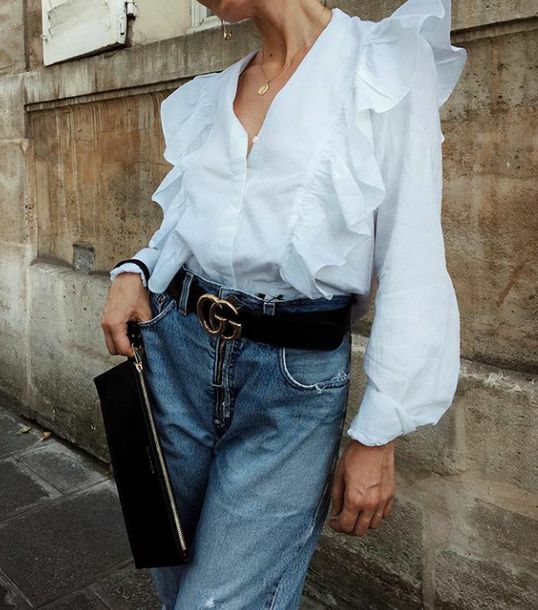 It’s much easier to wear something like a quality silk blouse or a great skirt in various ways as you can just switch out the top or bottom when you want to change up your look. One thing I’m loving is that more and more labels are releasing matching separates which not only look chic when paired together but are great when worn with other pieces too. If you find something that’s a bit of a showstopper, find something that sits on top such as a jacket or coat, which you can throw on over an outfit. Everyone remembers if you wear a really bold dress but if you wear a striking jacket you could mix and match it and nobody would really even notice if you wear it multiple times. I’m a fan of pieces that have a bit of personality and are a standout piece but if I want to guarantee maximum wear out of it then outerwear is the best way to incorporate it into my look. There are multiple trends each season and while it’s fun to try them you don’t always have to wear a trend from head to toe. You can incorporate a trend into your look with a really great jacket or small accessories. For example if you want to get into the 70s, buy one trend piece such as a pair of flared jeans. It doesn’t mean that you have to look like you stepped off the set of Saturday Night Fever. Exercise a bit of restraint when it comes to trends as invariably they will come and go. If you want certain pieces to last season after season avoid having too much embellishment on it. Having a lot of detail on a particular garment makes it more difficult to work back with other items in your wardrobe. Not only that, it also it makes it easily identifiable so it’s harder to have it be a chameleon piece that can be worn for multiple occasions. If you look at the celebs who tend to outfit repeat, they’re always wearing a classic piece that’s simple and streamlined. What are some ways you get more wear out of pieces in your wardrobe? It’s imperative to find yourself a pair of jeans that fit you ridiculously well and are ultra flattering. My go-to style are skinny jeans as they work with my body shape but yours could be a straight leg style or a chic pair of wide leg pants. I’m already looking forward to transitioning to my autumn/winter looks and one of my can’t live without staples is a pair of leather leggings. I can wear them dressed up or down and as a bonus they’re so comfortable. When buying a pair be sure to try on a range of different styles from different brands as the fit can vary. A plain white t-shirt is the kind of piece that will be in constant rotation. I love a crew neck style and wore one here, however a v-neck tee is equally as good. Start with white, however shades such as black, grey and navy and a good stripe are also a great addition to any wardrobe. 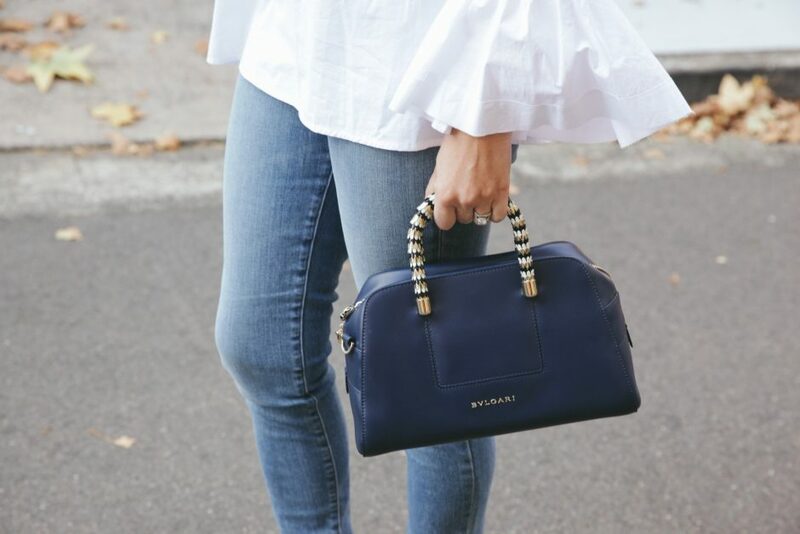 There’s a reason why a classic white shirt is at the top of most wardrobe basics lists — it’s just so wearable and can add a stylish touch to any look. One styling trick I like to employ is opting for a slightly looser fit when it comes to shirts as visually it can make your frame appear smaller. A high waisted skirt is a go-to when it comes to office wear but it can also easily transition to your off duty wardrobe. Opt for a simple black or a fun print and pair with a tee or shirt for an easy, out-the-door-fast look. Invest in at least one quality knit in a quality fabric (cashmere is luxe, but oh-so long lasting) and opt for colours such as grey or black as they’re easily paired with multiple items in your wardrobe. You can wear a blazer to work or out to dinner on a Saturday night and is such a must when it comes to wardrobe basics. Popping one on can easily dress up a look give it a stylish touch. A scarf is the ideal trans-seasonal piece to add to your wardrobe. I have one that I like to wear when I’m travelling as I can use it as a wrap when the temperatures are slightly chillier. 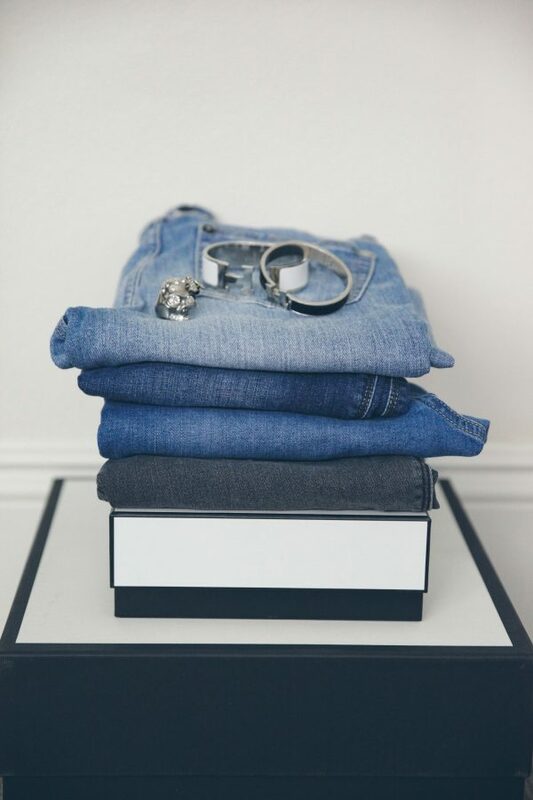 Tell me—what are some of the wardrobe basics you can’t live without? Have I missed any on my list? You’ve no doubt heard me talk about investment pieces here on the blog and also probably heard the term bandied around in fashion magazines and websites. However are they really worth the splurge? In a word: yes. And I think it all comes down to cost per wear. Cost per wear is that magical equation that allows you to not freak out quite so much about the fact you’ve dropped a significant amount of money on just one piece! It’s basically the cost of an item divided by the number of times you wear it. The more you wear it the cheaper it becomes. I’ve always tried to save for the big wardrobe staples that I know I’ll wear season after season. When it comes to things like a great blazer (I searched high and low for a Balmain one that’s still one of my favourite buys), a good quality handbag and classic coat, I need them to last as I wear them all the time. That’s why I’m prepared to drop a little bit more money on them simply because I know that years down the track I won’t need to replace them and they’ll still be there, kicking on and looking good. This helps me to justify the significant investment as it works out to be just a few cents each time I wear those pieces. The key however, is already knowing which items you’ll be wearing constantly. There’s no point in buying something that you think you’ll wear all the time only to find that you really don’t. Cost per wear flies out the window then! That said, there’s definitely a lot to be said for a quick fashion fix — I’ve done it because it’s immediate, it’s easy and always guaranteed to be on trend right that minute. I’ll often hit up chain stores for things like t-shirts and lounge wear as they have a short shelf life and I’m not really looking for too much longevity when I buy them. I think wardrobes are all about balance. 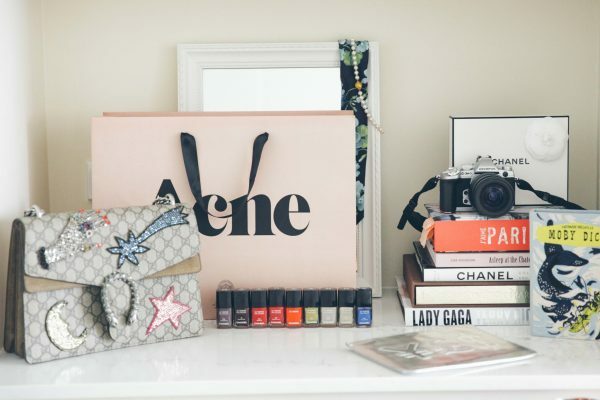 My approach is to buy the best quality I can for the cornerstones of my look and then skimp on those that are fun to have, but not a long term addition. That gives me the best of both worlds in that I can always add current cheaper finds with those pricier investment pieces that have been in my wardrobe for years. 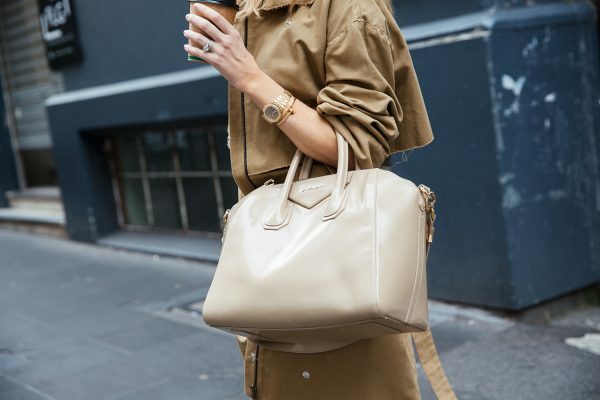 Tell me—What are some investment pieces in your wardrobe that have been worth the splurge? My ultimate aim with my style is to look classic and polished, mixed with a few on-trend pieces to stay up to date. However if you were to ask me what my style formula is, the one thing that helps shape what I wear on a day to day basis it can be summed up in just one word: balance. Simple, right? My style isn’t about having to mix certain pieces together in a certain way to create a certain look. Life’s way too busy to have to spend an inordinate amount of time considering what to wear. So I’ve distilled my approach to outfit planning into simply aiming to have balance with everything I wear. This just means that if I were wearing something with lots of volume at the top I’d have to balance it out by wearing something that is slimline at the bottom. If I was going to show a bit more skin at the bottom, then I would have to balance it out by wearing a more conservative top. When I wear something that is long and baggier I’d need to balanced it by adding a belt to give myself more shape. Once again, it’s all about balance. As I said I liked to keep my style simple and straightforward. I avoid anything too fussy or complicated because I just want to be able to walk out the door as quickly as possible. The one way I can manage that is to always ask myself if my outfit is balanced. Volume with something streamlined; embellished with something quite understated; long with something short. This gives me the fashion equilibrium I need to always feel that my outfit is on point. Tell me—What’s your style formula? There’s nothing worse than being faced with a wardrobe full of clothes and feeling like you have absolutely nothing to wear. The answer isn’t jumping online and ordering a new outfit to arrive by lunchtime (although that can sometimes be fun) it’s about learning to accessorise or rework items in your wardrobe to give them a fresh new feel. And as I’m sure you’re a busy woman who needs to get out the door fast, here are some of my super quick styling tips to help you pull together a “new” outfit quicker than you can click add to cart. Your bank balance will certainly breathe a sigh of relief! If my outfit is feeling a bit flat I find a great way to inject a bit more energy into it is by adding a bold accessory. 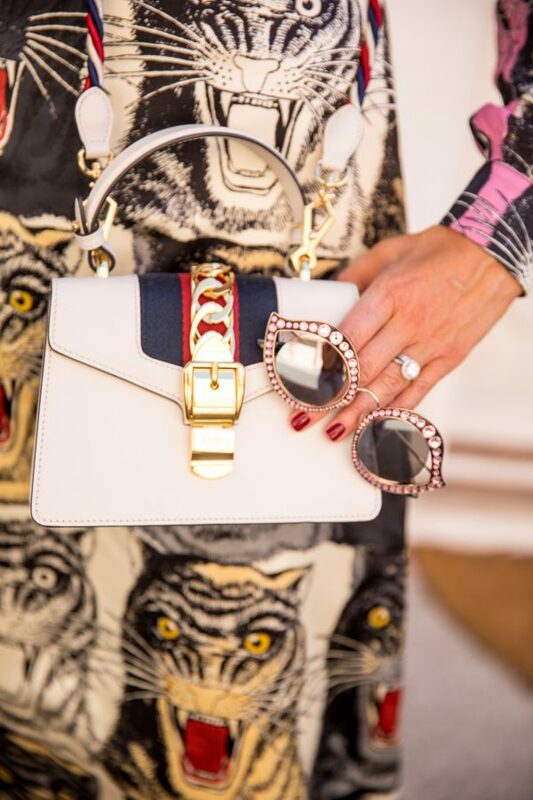 For example I’ve often paired my Gucci Dionysus bag (above) with an otherwise subdued outfit and found it instantly made it feel modern and on-trend. You don’t always have to opt for a bag, you could also try a pair of eye-catching drop earrings or a layering a few necklaces (all faves of mine) to breathe some new like into an outfit you’ve worn time and again. You can totally rejig an existing outfit with a few simple styling tweaks. For a tired pair of jeans try cuffing the bottom and pairing with a pair of bold flats or heels for a look that feels instantly fresher. 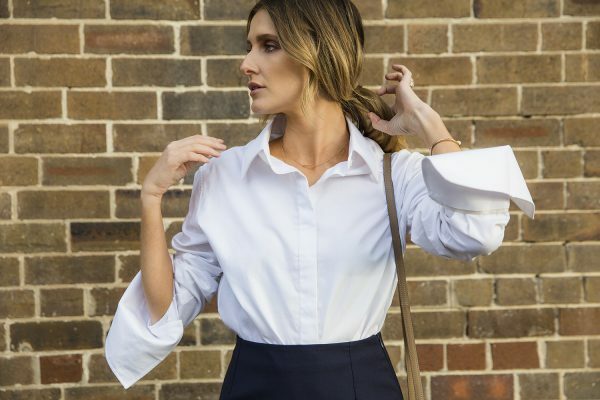 You could try tying a button down shirt and pairing it with everything from a pair of shorts and skirt for an outfit that takes a classic look and makes it feel a little more undone. Or experiment with rolling your sleeves whether it be on a shirt, a dress or even a jacket to create an entirely new silhouette. Having fun with colour is one way to make an outfit feel new again. The best bit about this is that you can do it in so many different ways. You could work it into an outfit in a small way such as a pair of shoes in a standout shade. You could go all out and layer multiple hues of the same colour family like this, or choose one ultra bright colour to take centre stage such as the above look and keep the rest of your outfit a little more subdued to really let it pop. I wrote about how scarves have become a favourite accessory of everyone from celebs to fashion and beauty bloggers late as they’re so versatile. You can fashion it into a headband, tie it around your neck or use it as a hair tie. Find one scarf in a vintage print and you’ll be able to revive many tired looks with it. Alternatively it also serves the extremely handy purpose of hiding dirty hair in a stylish way when you really can’t be bothered to wash it! It requires a bit more effort but painting your nails in a really bright colour can often make any outfit feel new. It also has the added benefit of giving you a more polished look overall. Give yourself a mani at the beginning of the week and watch it elevate your outfits for the next few days without you having to do anything at all. You’ll be surprised at the sartorial power of a belt when it comes to reworking an existing look. An easy one is wearing a belt with an oversized buckle with jeans or a denim skirt for a look that plays into the current 90s trend. You could also try Olivia Palermo’s favourite styling trick of belting a jacket such as a blazer or coat. What are some of your styling hacks for getting out of a wardrobe rut? A little black dress is the equivalent of a get out of jail free card when it comes to fashion. An LBD has saved me on numerous occasions from having a wardrobe crisis as it’s such an easy foundation from which to build an outfit—all it needs is a great pair of shoes and accessories and I’m done. I know it’s also guaranteed to be flattering so it’s ideal for those days when I can’t afford to waste time trying on multiple outfits but need to look and feel my best. I always feel comfortable and confident in my favourite pair of jeans so for casual days out I know I can always rely on them to build an outfit around. I can easily just add a tee and flats if I’m out running errands or a structured blazer and heels if I’m after something a bit dressier. I live in black leather pants throughout winter as they’re so comfortable and can also easily be dressed up or down. As a lot of people probably do, I generally always turn to anything black when I’m having a wardrobe crisis as it’s always a flattering hue and is an easy jumping off point to build a look from. The perfect pair of black leather pants can easily be paired with a tee and sneakers for great off duty style or a blouse and heels for a dressier look. Shift dresses have always been my go-to at all times. Even during pregnancy I found them to be a great option as the silhouette works with my frame and is an easy basis from which to create a look. I’ve found dresses are a lifesaver during times of wardrobe dilemmas as you don’t need to fuss around trying to match tops and bottoms—simply throw it on, find a pair of shoes and you’re done. Shift dresses may not work for everyone so definitely find a dress style that you know works with your shape. A crisp white shirt is considered a wardrobe classic for good reason—it’s an easy option to pair with everything from jeans to leather pants to a skirt and always looks polished. I find it’s always a good idea to have a white shirt ironed and ready to go at all times as it’s an easy option to turn to when you’re staring at your closet feeling really uninspired. Throw on a white shirt and I guarantee it’s wardrobe crisis averted! What are your go-to wardrobe lifesavers? On a first date you’ll often know ahead of time where you’re going and what you’re doing so let that be your guide. Yes, it’s understandable that you want to look amazing so you may want to go all out but it’s also important to ensure that you’re not overdressed or underdressed. For example if you’re going to play mini golf you may want to avoid pulling out a bodycon dress and heels and opt for jeans and a nice top instead. By the same token you don’t want to rock up in sneakers if you’re heading to the best restaurant in town. I’ve always believed that if you’re comfortable in what you’re wearing you’ll naturally be more confident. If you’re spending half the evening worrying about some aspect of your look or adjusting yourself every five seconds you’ll end up frazzled and not feeling your best. Always choose an outfit that makes you feel great but also allows you to relax. Relaxed date = great date! A first date is probably not the best time to go too crazy on the fashion and beauty front. Remember being comfortable is key so go with looks that you know have worked in the past and make you feel great. If you’ve never really done a bright lip before it might not be the best time to try it if you end up worrying about whether you have lipstick on your teeth the entire date. Save experimentation for a night out with your girlfriends; this is the time to rely on what you know works. If you really want to try a new look do a dry run a few days prior so you can iron out any kinks beforehand. What are your tips for a first date look? As a former fashion designer, Alex Zabotto-Bentley is used to channelling his energy into many a stylish endeavour. 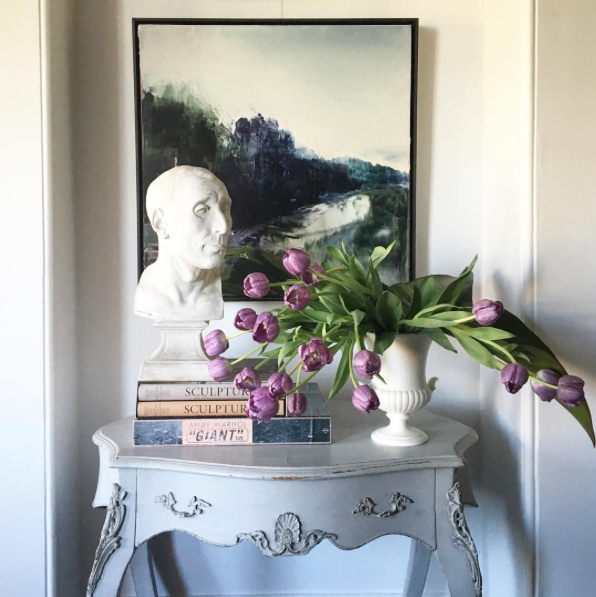 He’s now channelling this artistic flair into interior design as the founder of AZBcreative. 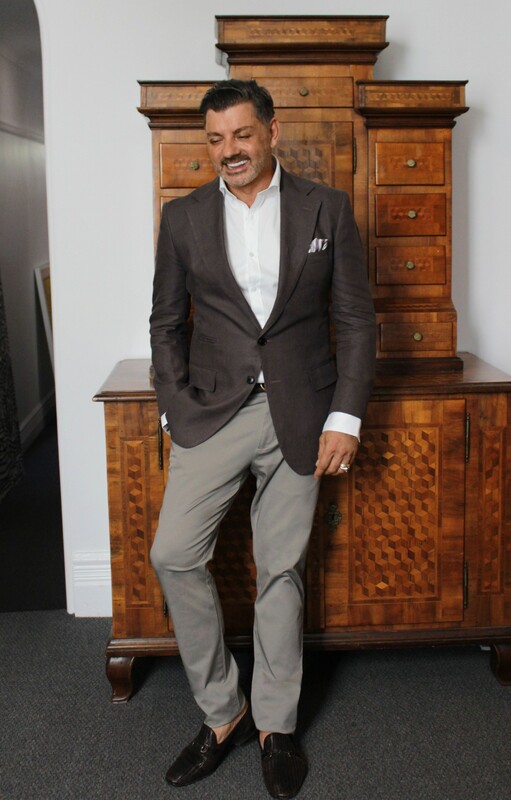 AZBcreative has masterminded some of Australia’s biggest media and social events, including the March into Merivale, CLEO Bachelor of Year and Harper’s Bazaar Luxury Awards. Among the company’s high-end clientele is Palazzo Versace, Waterford Crystal and The Sydney Theatre Company and singer Lady Gaga. 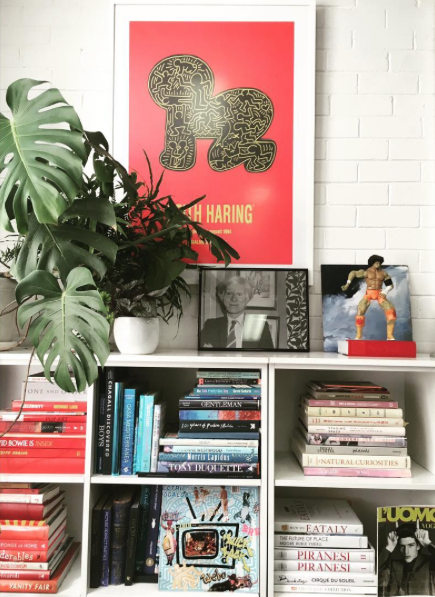 Alex chats to me about how he made his mark in interior design and even lets me in on a few of his best styling secrets below. Apart from grappling with the eternal crisis of what to throw into my green juice, I am a very early riser. It doesn’t matter if I’ve been working late on a project or have just arrived on a redeye flight from Europe, I always wake up around 5am. Seize the day! My philosophy is that to maximise your energy and productivity, you need to greet the sun every day. 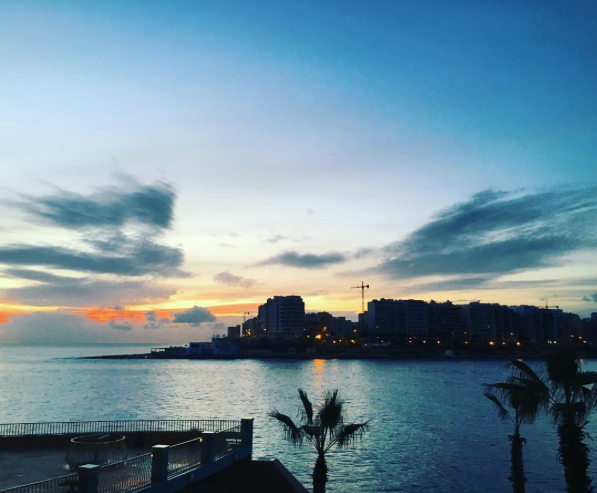 Get up before sunrise, head to your favourite vantage point – near the sea is always amazing – and watch it rise. And then (this is a bit spiritual), make your affirmations. It works, believe me. You start each day full of positive energy and resolve, ready to do your best work. How did you get started in interior design? To be honest, I spent so much of my childhood transfixed by houses – I used to mentally ‘rate’ them for architectural balance on the walk to school. And while everyone else at school was buying [surfing publication] Tracks mag, I was saving my pocket money for World of Interiors! My big breakthrough came when the wonderful, late [hotelier] Ian Robertson gave me carte blanche to design a massive, 4,000 square metre bar on the top of Melbourne’s GPO. Even while working as a fashion director for magazines and designing my own label Fashion Assassin, I was leading a “double life”, doing interior projects for friends on the side. With respect to interiors I have been able to really create magical spaces, which are like no other. It’s important to me to create a site-specific space, so we always try to custom make over 70 per cent of every interior. 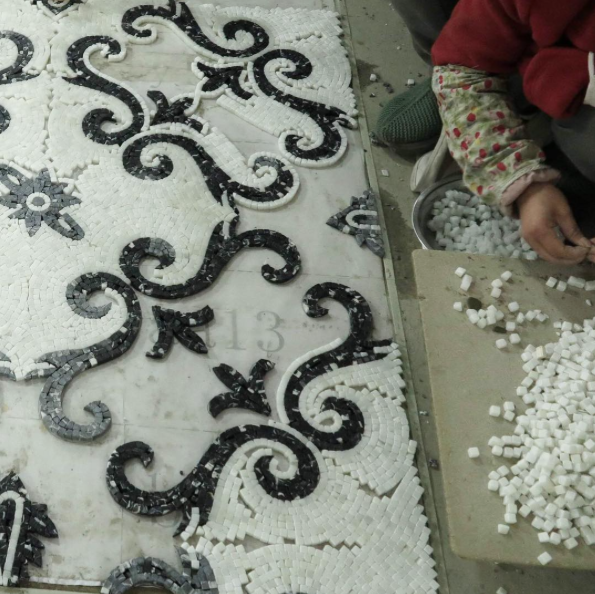 From designing our own range of tiles to creating our own pigment colours to working with local craftspeople to use their brilliant and sometimes under-appreciated skills. Kittyhawk [restaurant in Sydney] is a good example of this approach. We created original fittings with a sense of place and history, that perfectly fit that space and tell a story. From the hand-dyed leather for the banquettes to the antique French oak doors, the 12-metre long, hand crafted American Oak bar to the custom-made brass-trimmed shelving and tesserae tile design which I drew freehand, there will never be anything else quite like it. What is your favourite room in your own house? Definitely my sitting room. It has a wonderful sense of space and light, with high 1920s ceilings and beautiful architectural details. 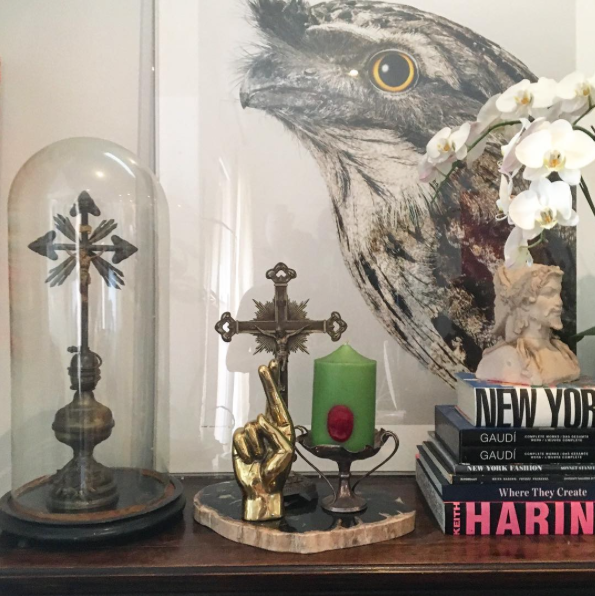 The space is filled with hand selected furniture and decorative pieces that I have collected over time. Every piece tells a story and recalls a memory of a great trip or a weekend combing through flea markets or the thrill of discovering a new artist. It’s so much more than just a space. 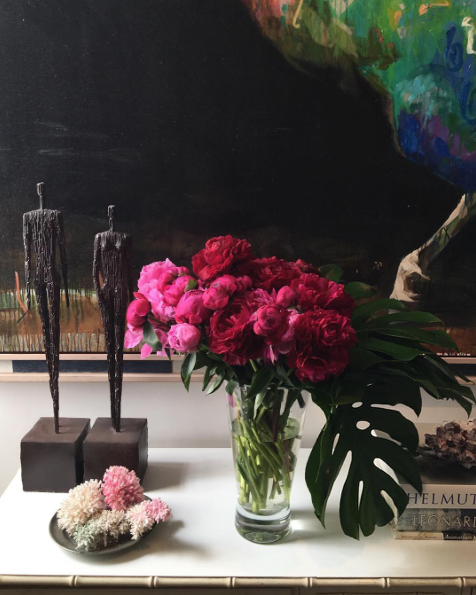 I love collecting art, so it’s like a private gallery with all the works I’ve collected, from original Keith Haring prints to beautiful, wild landscapes by Aaron Kinnane to modernist sculptures and abstract 1940s Italian art. But it’s not fixed; it’s an ever-evolving space, reflecting my travels and discoveries. What made you move into events? It’s all connected. 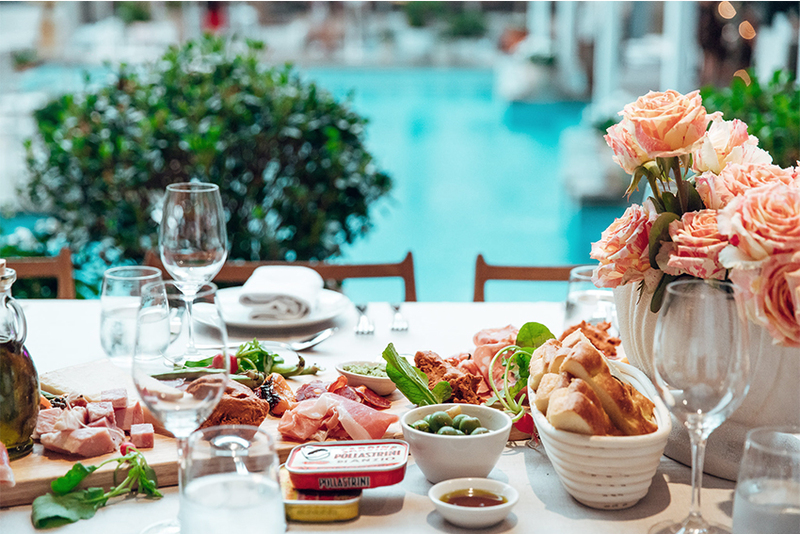 Working on styling projects every day, I was invited to a lot of events and launches; you know how Sydney loves a party! But I felt that from the guest’s point of view, the event design industry was lacking inspiring, immersive experiences, a high taste level and beautiful, memorable moments. Too many events were basically a bar, some wait staff, a media wall and a DJ. Boring! They were forgettable and added nothing to the brands being promoted. So I decided to tackle this very closed, competitive industry head-on, developing a reputation for custom-designed elements and experiences specific to each client. People really connected with these branded environments. I think we ruffled a few feathers at first, but the clients loved it. What is your number one styling tip for a special event? If you do one thing, always use incredible flowers. In fact, always double the flower budget, and do something totally unique. I’m not talking about staid arrangements; go big and amaze people. Make an impact with colour and sheer mass. 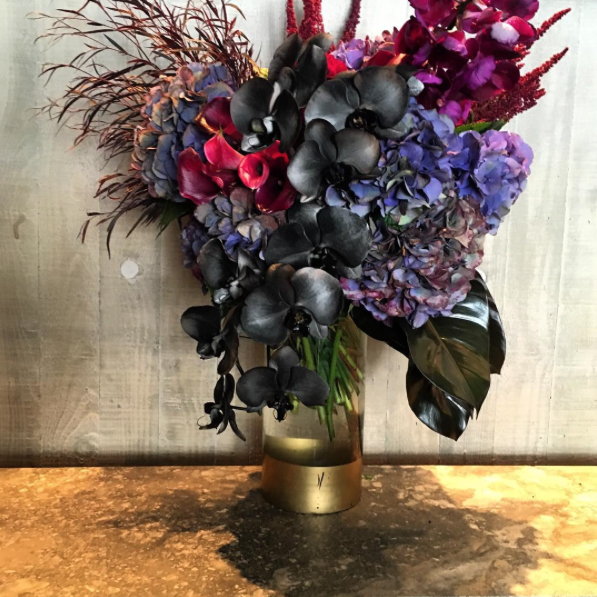 We have dipped phalaenopsis orchids in jet black paint, to emphasize their amazing sculptural properties, and people went crazy. I also think it’s essential to make sure every single staff member looks impeccable and dressed to suit the brand, whether it’s crisp denim shirts for a whiskey tasting or impeccable black and white for a formal dinner. Make sure that the cocktails are totally desirable and unique and the catering is completely other-worldly…details, details make the event. What are the biggest mistakes people tend to make when it comes to styling an event? When creating events, people often think that is just about getting the celebrities and current “cool” people to attend…but a lot of celebrities only stay for a brief time before sweeping off to the next thing, leaving a void. Without those glittering people, the room feels cold. To create an exciting and engaging event, you have to mix and layer the guest list with interesting people, from unique fashionistas to vibrant, animated people with something to say. Mix young and old, established names and up-and-comers: chance encounters create energy. The magic is in the mix. What have been your top three favourite projects so far? Only three? 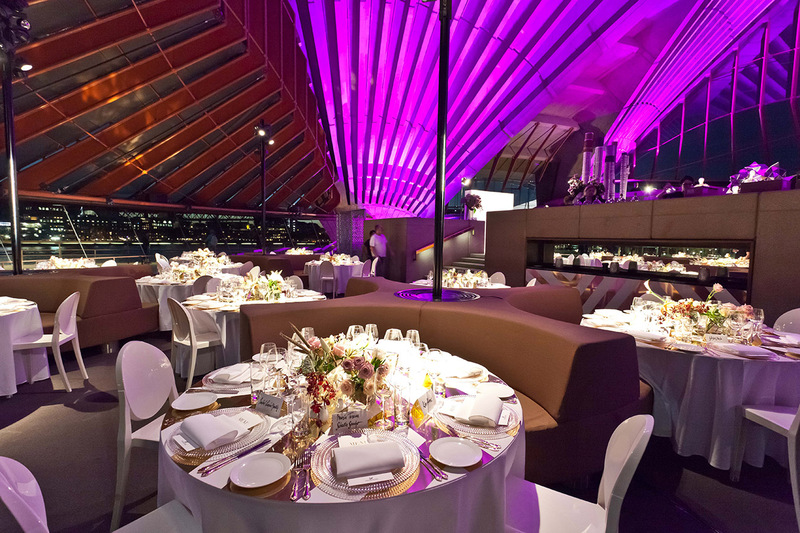 Ok, one would be working with the wonderful [PR company] Max Media Lab to conjure a magical Swarovski dinner at the Sydney Opera House with Miranda Kerr. We created modern, shimmering spaces inside Bennelong, mixing white perspex, mirrors, metal and glass with acres of flowers and shimmering ornaments to embody Swarovski’s latest collection. From the entrance, flanked by giant beaten silver vases of cascading roses and orchids to the shimmering, crystal-strewn white carpet, to the show-stopping. monumental stainless steel, geometric sculpture by Gregor Kregar, we owned that space! Attention to detail is a signature of our work, so we cut custom tabletops from white Perspex and applied delicate mirrored gold designs, then topped the tables with cubist vases to hold lavish, eccentric floral arrangements. Miniature French busts, half dipped in gold, added to the decadence. As far as interior projects, one of the most unusual was creating Seadeck for Scott Robertson [Seadeck’s managing partner] and his team. It’s an amazing floating venue on a gorgeous vintage ship: a 44 metre blank slate and a wonderful challenge. Inspired by the peak of luxury cruising, from the 1920s through 1940s we put a sophisticated twist on nautical design over three vast decks. 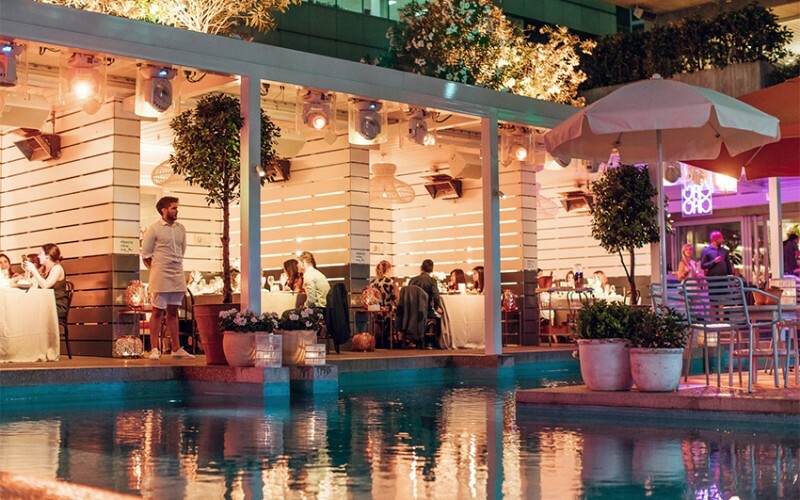 Overall, it is a minimalist space in navy and white, with custom white lounges, Carrara marble table-tops, a bespoke brass-trimmed bar, curated nautical decorations and iconic four metre high palm trees. Of course, working on a boat is a challenge in itself. Everything needs to be fixed to the deck, protected from the elements and the furniture needs to double as clever storage. We were essentially designing an interior which would be exposed to wind, rain and sun 365 days a year, yet had to remain luxurious and unforgettable. Finally, we’ve had a long working relationship with Justin Hemmes and the Merivale Group. Producing and creative directing their March into Merivale event in 2015 was amazing. We welcomed about 100,000 people over five weeks, with 19 events across their venues, from The Ivy to Coogee Pavilion and everywhere between! Every venue and every event required a different approach and spoke to a different audience. We worked with chefs and sponsors to create custom experiences and environments, conceptualised and engaged entertainment, designed and crafted specific installations, stalls and furniture to express each venue and turned the whole Ivy laneway into a new dimension. Who needs sleep, anyway? The hard work paid off, though: we won a national design award for event activation. How closely do you work with the brands when designing their spaces? What has been the best piece of advice you have ever received? To create change. What I mean is, don’t just talk about it, do it. And do it differently. Never stop learning and innovating. Design isn’t a static business. Technology changes, society changes…you can’t afford to stand still or rest on your laurels. What’s coming up in 2017? We were honoured to be awarded several international Design Awards last year which really raised our profile, and we’re working on hotel projects, villa interiors and immersive experiences in Europe, Bali, Flores and Sydney…and we have some restaurant and bar projects that will change the way Sydney-siders approach dining and going out. I can’t say too much, but watch this space – there are some amazing things coming!